The past few years we’ve been learning more and more about what the celebrities and socialites do on vacation, thanks in great part to the explosion of social media. Truth is, even if they don’t give out all the details, there’s always a paparazzo hanging around or a picture snapped of a fun moment at one of their favorite destinations. 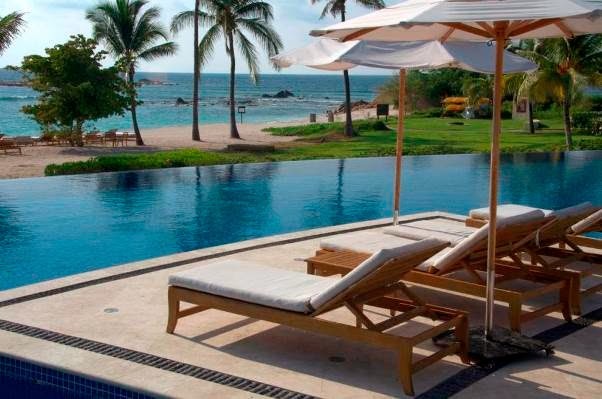 As time goes by, the Riviera Nayarit has gained a reputation as one of Mexico’s favorite destinations for celebrity sightings. Among the factors that have contributed to this are the privacy offered by the exclusive hotels and villas, their high level of service and, of course, the innate hospitality of the people of Nayarit; the excellent cuisine that is an essential part of the Riviera Nayarit experience; and the security offered by knowing their space is secure and beyond the reach of the media at large. The objective is to stay away from the flash bulbs and the lenses; privacy and relaxation in the company of their loved ones or friends is fundamental to the enjoyment of an escape from the big city. Other important factors for their visit to the Riviera Nayarit are its exotic landscape, its pristine beaches and an incredible climate that is warm nearly year round. These are just a few of the options that celebrities and socialites look for when they wish to disconnect… And they’re all here in the Riviera Nayarit.